It is an unarguable fact that more than 1.6 billion people make use of Facebook on a regular basis and this makes it the most used social media network on earth. If you really want your business to survive in today's ever-dynamic world, you can't ignore marketing on Facebook. However, due to the constant algorithm changes by Facebook, social media marketers need to be very creative in exploring the platform. If you want to get the best marketing experience on Facebook and drive more sales for your business, these 20 essential tips are for you. It is very important for you to completely fill the about section of your business page because it is the first point of contact for your visitors. Immediately after a Google search, your about section is the place that your visitors will land on after clicking from Google. Leaving the section blank will lead to loss of potential customers since you don't keep them informed about your business. 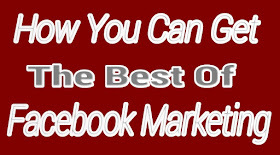 Your cover photo should be dynamic so that your visitors will find it interesting. For example, if you are organizing a competition and there are prizes to give out, you can showcase the prizes in your cover photo to add glamour to the contest. You have the right to get a Facebook vanity URL when your page has 25 likes. A vanity page is very easy to memorise and it looks like “facebook.com/YourBusinessName”. Another benefit of a vanity URL is that it will make it easier for people to find your page and you can easily promote it on more marketing platforms. By placing the like buttons of your business page on your blog and websites, you will be directing traffic to the page. In addition, you will be converting your blog readers as well as website visitors to social media fans for the benefit of your business. Promoting your page through your email signature will boost traffic to it. When you add a link to your page in your email signature, it can lead to the conversion of people you communicate with to fans. It will also expose your business to these people which will in turn lead to a greater success for your business. For just a few dollars, your page can be publicized to people who will have interest in your business. 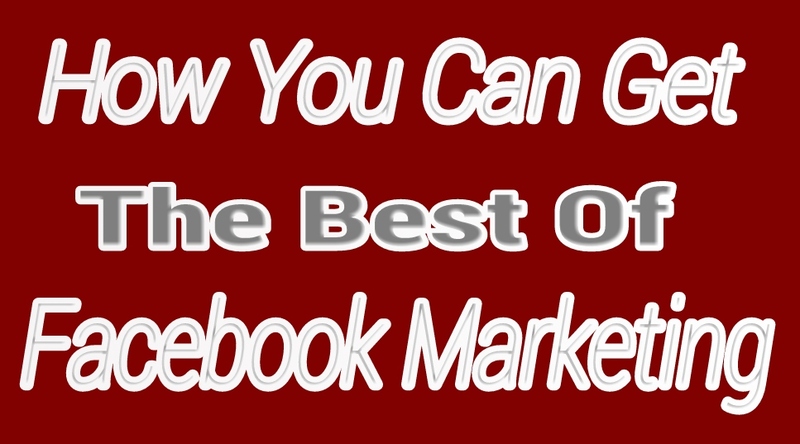 Getting fans through Facebook ads is a quicker way of boosting your page and advancing your business. It is very important for you to post when your fans are online, especially majority of them. You can achieve this by paying more attention to your Facebook insights to know when many of them are online so that you can reach at the right time. In the social media world, images are very vital. They have the capacity of communicating ideas within a short time, usually in milliseconds. Research shows that posts with images perform better than those without images. You can use emoticons to get a feeling, emotion or mood around fast. If you are particularly dealing with younger audiences, emoticons can be a great tool for managing your Facebook updates. You can easily produce videos to share on your business page. Videos are very easy to produce and quick to share due to their entertaining nature. Videos can enhance your contents and make your page more entertaining for the overall benefit of your business. You shouldn't expect your fans to react to all your posts if you don't push them to do so. As a result of this, you should add call to action to your posts like "share with your friends", "comment yes if you agree", "like this post" and so on. Using humor in your posts will boost the way your fans respond to them. Jokes will go a long way in humanizing your brand and lead to prompt emotional response from them. However, you should be careful of controversies when cracking jokes so as to prevent negative consequences. When you get negative messages on your page, you will be tempted to block or delete them. If you do that, your customers may lose confidence in your business. The best approach is to respond to negative customer comments with empathy so that your company will be seen as being dedicated to customer support. Your customers expect you to respond to their messages within a short time, usually within one hour. When you receive messages on your Facebook page, it is ideal to respond faster because Facebook will always indicate your rate of response. You will also get a badge if you respond to 90% of your messages in 15 minutes. The 70-20-10 rule is a strategy to manage your posts. Use 70% of your time to post original contents, 20% to share interesting contents and 10% to promote your business. This will give you the necessary balance in your page management. Since all your fans may not be online all the time, it is not bad to reuse your past contents that were successful. You can't be creating new contents all the time. Use your old contents creatively in a new way and make sure that the contents you want to recycle were well liked when they were previously used. Inspire your fans to drop honest reviews about your business, either positive or negative. Positive reviews will be a social proof that your business is delivering on its promise while negative reviews will help you to improve. It is very important for you to treat these reviews with an open mind in order to get the best results. Let your page be unique with regular exclusive deals and promotions for the benefits of your fans. This will make your fans to be loyal customers because you will be making them special. Passing across the success stories of your clients is a good self-promotion strategy. It will encourage prospects to be interested in your business which will lead to more sales. Weekends may be the time to get off work but remember that your fans are always online. Hence, you should prepare posts for weekends and use the scheduling feature to schedule them in order to be consistent with your fans.